When is the best time to imbibe sparkling wines and drink pinks? While some may propose “for celebrations” or “only in summer,” Archer cordially suggests that living life with zest is a drink served best anytime. Use the good dishes regularly instead of saving them for special occasions (because, really, every day should be a special occasion), and enjoy Napa Valley bubbles and rosés — not just for holidays and summer soirées, but whenever the mood strikes. One of Archer’s friends is Brian Kulich. 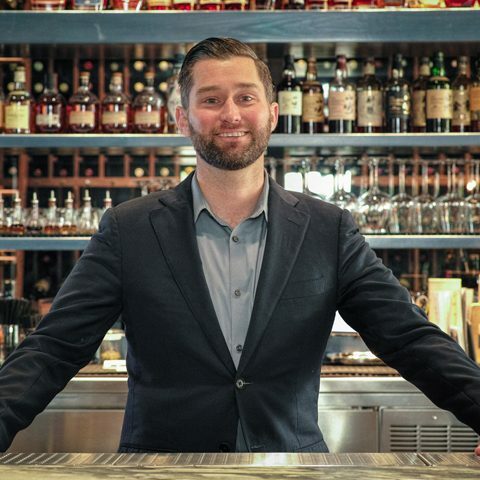 One of only 651 Advanced Sommeliers in the world, Kulich earned his certification through the prestigious Court of Master Sommeliers. This high-level advanced designation is bestowed upon sommeliers who have significantly increased experience, knowledge and skill compared with Certified Sommeliers. Kulich has extensive experience working — and tasting — in the region. 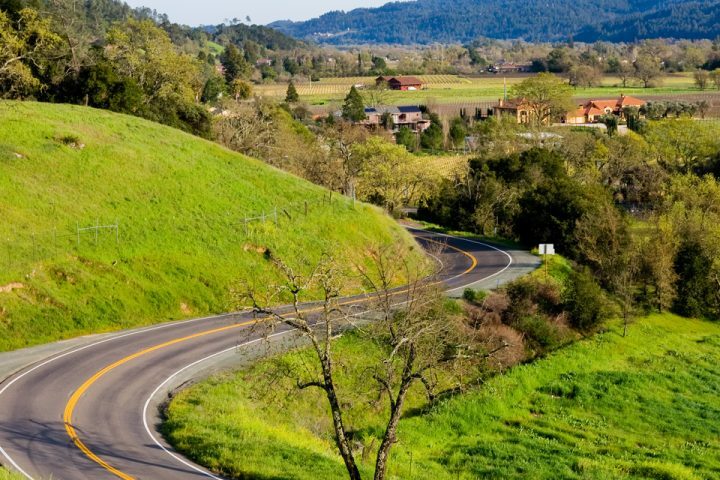 Here, he offers his favorite suggestions for a lovely Napa Valley winery experience for those who adore sparkling wines and beautiful rosés. Schramsberg Vineyards is a favorite. 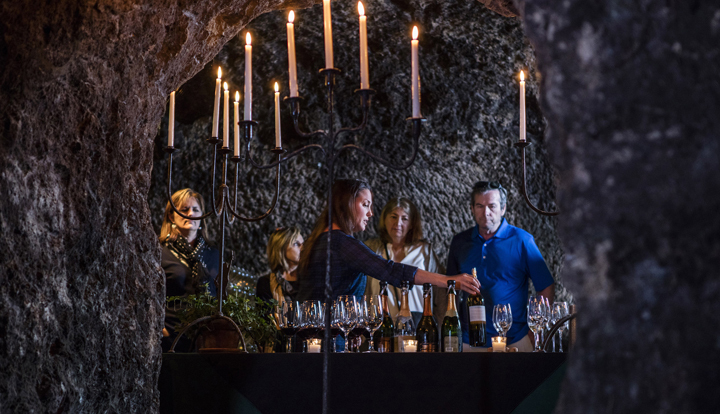 This winery has just about as authentic an experience as one could enjoy outside of Champagne — cave tours and tastings that close to no one else offers, remarkable bubbles and pictures of passed-out founders. Dating back to the 19th century, the Schramsberg estate was rejuvenated in 1965 by Jack and Jamie Davies. They had a vision to produce “America’s most prestigious, select and admired sparkling wine.” The couple saw that vision through to fruition, with the Blanc de Blancs being served at official state functions by every United States presidential administration since President Nixon and Chinese Premier Zhou Enlai’s famous Toast to Peace. Overwhelmingly positive reviews tout Schramsberg Vineyards as a five-star adventure delivering amazing sparkling wines, along with informative guides leading educational tours through the caves. A special nod goes to the explanation of the bubbles-making process and to the generous tasting portions. Domaine Carneros is always a highlight. 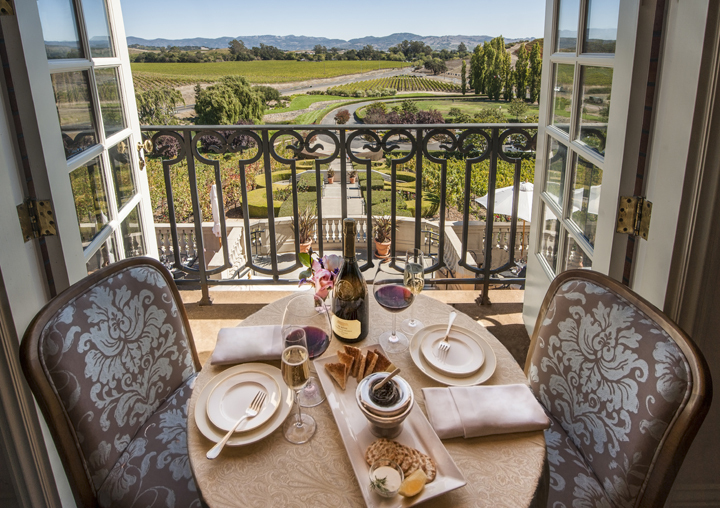 Having earned a TripAdvisor Certificate of Excellence for consistently great travel reviews, this winery has a lovely terrace overlooking spectacular Napa Valley views. This award-winning estate produces its sparkling wine using the méthode traditionnelle — a labor-intensive process of secondary fermentation, which delivers the telltale bubbles. Try its Art of Sparkling Wine Pairing or the Ultimate Chips & Dip (think caviar, crème fraiche crispy potato chip and bubbles). Up the ante by booking the Sparkling Suite, complete with a private château balcony gazing over the estate vineyards. Gloria Ferrer just built a new tasting room and terrace with sweeping views of the Los Carneros region overlooking Sonoma County. Try a flight of sparkling wines while enjoying the scenery under the terrace umbrellas. 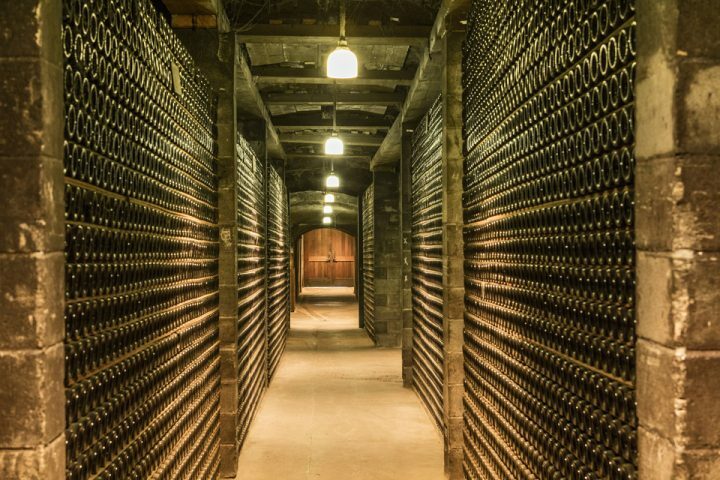 With a familial background in winegrowing that dates back to 16th-century Spain, the Gloria Ferrer Caves & Vineyards built the first sparkling wine house in Carneros and was the first to plant Champagne clones. The vineyard crew has perfected the art of blending pinot noir and chardonnay to create “a montage of flavors and feel in the luscious texture and silky mouth feel and finish.” Visit to see why this is one of the best venues to sample bubbles. 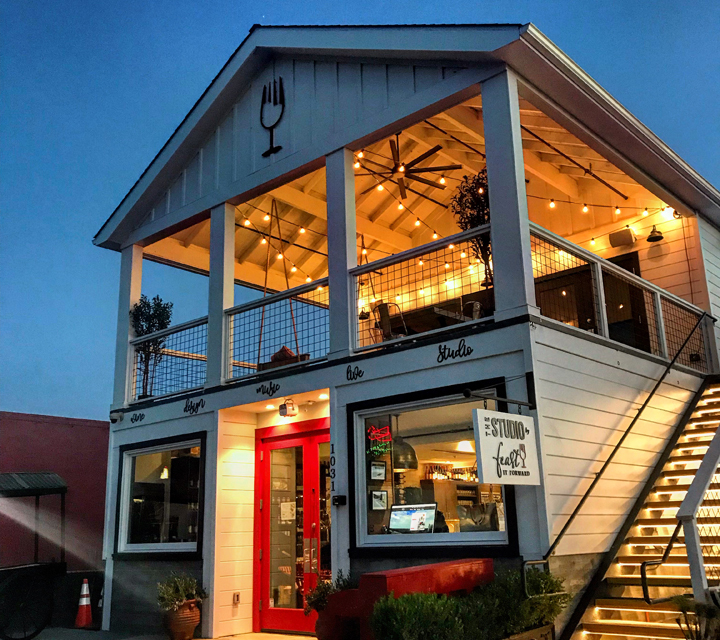 Feast It Forward is a new co-op tasting room that just opened across from the Oxbow market in Napa. It features wines from Onesta and Lightning, both of which produce unique and delicious rosés. The view from the deck at sunset is one of the best. This online network and lifestyle brand is geared toward the conscious consumer. Through a unique platform of shows dedicated to wine, food and music, Feast It Forward donates 5 percent of its proceeds to various charities that benefit women, children and animals. 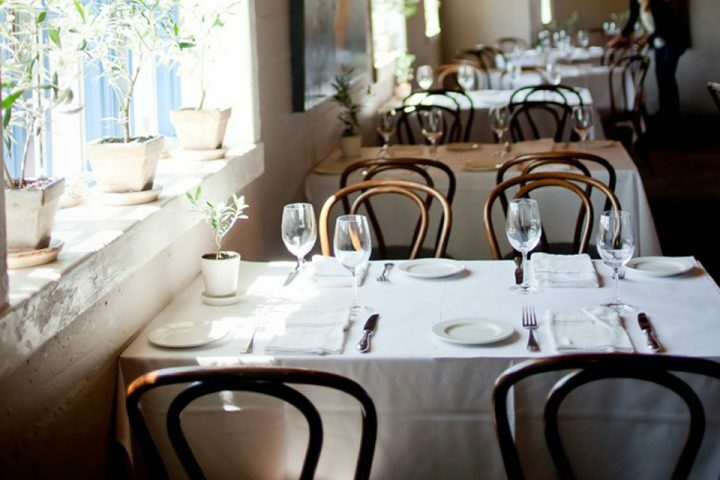 Its Napa location includes the tasting room, an entire floor of retail items and an upstairs event studio that doubles as a cooking demo, plus a lovely back garden. So sit back, enjoy a savory rosé and know that you’re helping others while you sip. To recommend Etude Wines based on its rosé is a bit of a crime, but if it gets it on your radar, you’re better for it. Go for the rosé stay for the amazing pinot noirs, cabs and brandy — yes, brandy. They’ll explain. Etude’s pinot noir rosé is complex enough to complement rich dishes and is delightful all year long. Strawberries, blood orange, cranberry and cherry provide a fresh aroma. Enjoy a leisurely sampling in the modern, contemporary tasting room or the on beautiful patio with a view of the Carneros AVA. Etude offers walk-in tastings, as well as formal sit-down tastings with gourmet food and wine pairings. 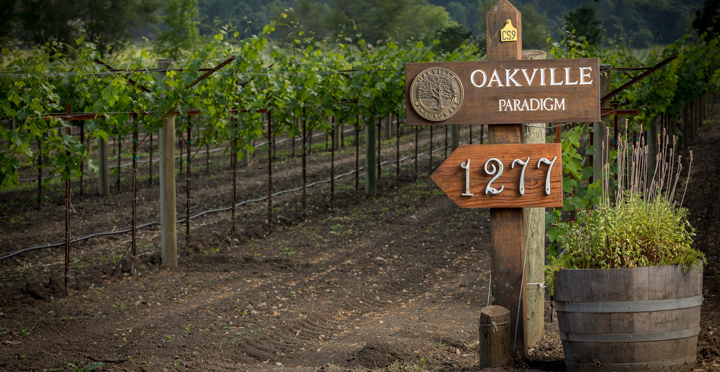 Choosing a favorite Rosé experience is tough since everyone offers one these days, but Oakville’s Paradigm Winery does an exceptional job. The owners and staff are knowledgeable, and warm and make you feel like you’re part of the family. Ren and Marilyn Harris own and manage the 50-acre winery, with winemaker Heidi Peterson Barrett blending in her wine wisdom. 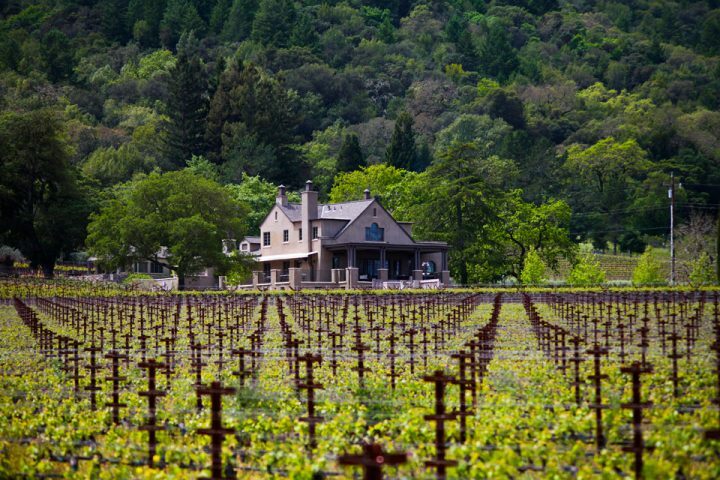 Paradigm focuses on cabernet sauvignon, merlot and zinfandel, along with cabernet franc and petit verdot. Beginning in 2009, the winery developed a pale salmon-colored rosé of merlot — lightly acidic with delightfully clean aromas of honeysuckle, strawberry and pomelo. 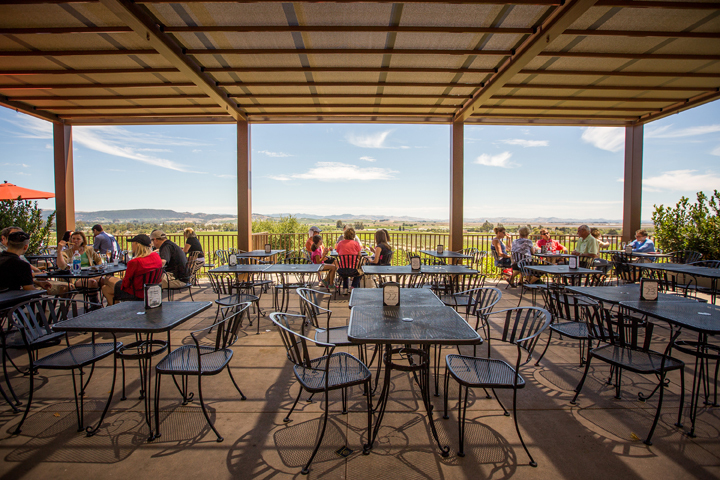 The tasting room offers an intimate experience overlooking the vineyards toward the Mayacamas Mountains. Can’t get enough of bubbles and rosés? Head on over to Sky & Vine Rooftop Bar®, atop Archer Hotel Napa. The menu includes Skylark’s Pink Belly Rosé, as well as Gustave Lorentz’ Crémant d’Alsace, Iron Horse’s Aureole Cuvée. J.B. Adam’s Crémant d’Alsace and J. Vineyards’ Rosé’s Russian River Valley — a sparkling rosé at the lighter end of the rosé spectrum. This wine country-inspired retreat additionally offers a full bar with hand-crafted cocktails, the highflying tastes of Charlie Palmer Steak, sincere service and panoramic valley views, ensuring that your experience is as inviting as it is memorable.